Andrew O’Brien is a founding partner of Glinton Sweeting O’Brien. He advises on all aspects of real estate law and the commercial laws that overlap real estate transactions. Andrew has extensive experience in Real Estate Development and Foreign Direct Investment, representing international and Bahamian developers in residential and commercial real estate projects – including mixed-use resorts, hotels, subdivisions, condominiums and commercial properties. His practice requires daily interaction with government agencies, and providing advice on regulatory, tax, corporate, financing, employment, and immigration issues. 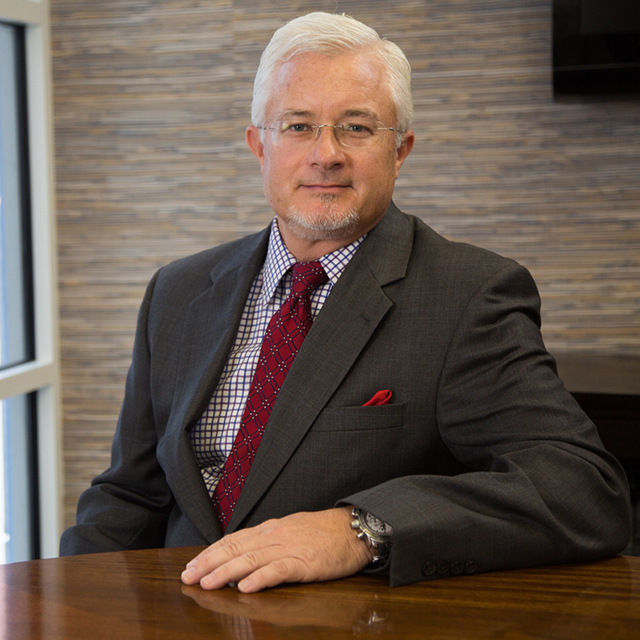 Andrew’s practice also includes insurance law, and probate and estate administration. Andrew received his B.A. at Northwestern University, then after four years of service in the United States Marine Corps, he attended law school at the State University of New York at Buffalo. He practiced in New York for two years prior to returning to The Bahamas and receiving his Legal Education Certificate from the Eugene Dupuch Law School in Nassau. Andrew worked on a development team building subdivisions and residential homes in The Bahamas, and he helped manage a civil engineering firm, giving him valuable insight into the real estate industry and added depth for advising clients in real estate matters. From 2005 to 2012, Andrew served as the chairman of the Real Estate Section of the Bahamas Bar Association, working to advance various initiatives and to create a forum for real estate practitioners to review issues that impact their practice. A Condo-hotel resort development in Great Exuma. Development of several private island resorts in the Family Islands of The Bahamas. Development of Condo-hotel, golf and marina resort in New Providence. Representing Title Insurance company in $470 million resort financing. Advising Home Owners Associations in governance, employment and commercial matters. 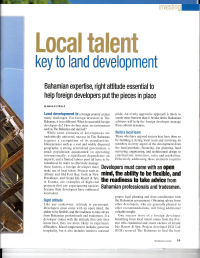 Representing international Immigration firms and individuals in obtaining work permits and Bahamian residency. Andrew supports causes related to local arts, sports and education. He has a particular focus on The Bahamas International Film Festival, where he served as a Director and Chairman for several years. He enjoys promoting Bahamian talent to the international community, and has found the use of film and art to be a powerful medium for sharing such talents. Andrew’s love of sports inspires his participation in a variety of sporting organizations for golf, soccer, street hockey, and horse riding, which organizations help educate younger athletes and support various community fund raising initiatives.